If you were asked to choose the most intelligent person in history, who would it be? Einstein? Newton? Socrates? What about Jesus? We often think of Jesus as many things, but rarely do we think of him as an intellectual, using reason and logic skillfully. Yet, he did so frequently. In this four-part podcast, you'll hear Lenny explain just how Jesus out-thought his detractors and you'll learn about a underappreciated aspect of his ministry: how he wants us to engage our minds as much as much as our hearts. How Can You Love God Fully If You Can't Show Jesus' Divinity? Before the advent of instant communication, separated sweethearts would communicate via handwritten letters. 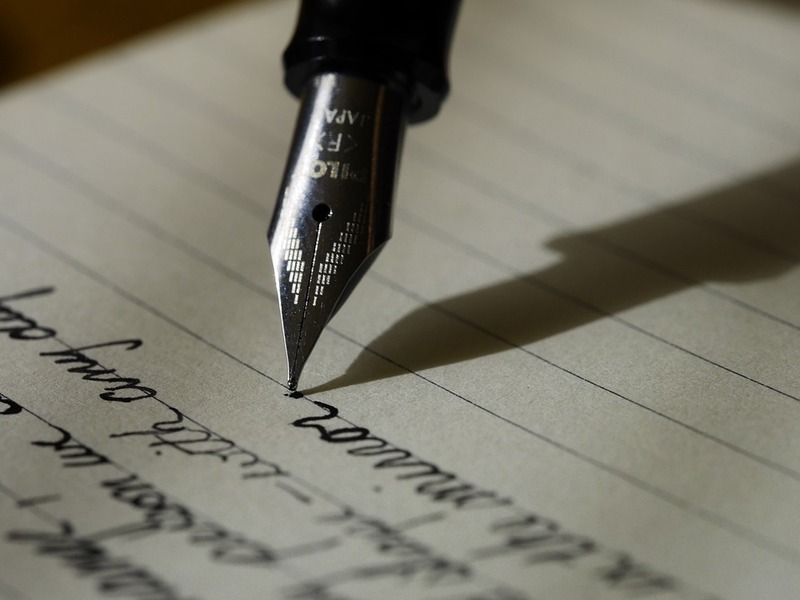 Receiving a note from one's beloved from across the ocean was a source of great joy and comfort and the recipient would pour over the letters, treasuring them and reading them multiple times. Many times the couple actually became more familiar with each other as their thoughts and feelings were transferred to the written word. One could see how his or her beloved thought and which matters they deemed important by their continual exchange. The New Testament offers the Christian a similar experience as we await the return of our bridegroom, Jesus. Even though we are temporarily separated from him, we are not left without a way to draw closer to him and to know him more intimately. Christians are guilty of the syndrome "Your Jesus is too small." We have made Jesus our "big brother" and "friend" to such an extent that we have lost the sense that he is also our sovereign Lord. We must recapture capture the realization that he too is our God and worthy of worship at the deepest level." I've written before on Putting Jesus in His Place and the HANDS argument therein. This is an important book that you should pick up if you don't yet own it. 1. Robert Bowman and J. Ed Komoszewski. Putting Jesus in His Place: The Case for the Deity of Christ (Kindle Locations 135-149). Kindle Edition. The Trinity is central to Christianity. If you deny the triune nature of God, then you've denied the historic Christian faith. Some like the Mormons deny there is only one God. Others like the Jehovah's Witnesses deny that Jesus was God at all. New Testament writers like Paul strove to describe the distinction between the Father and the Son while still honoring both as God, but those very passages can be taken out of context and twisted to carry a meaning the original author never intended. In this passage, Paul is trying to stress how Jesus is creator, master, and lord over all of creation. This role has been traditionally understood as God's. The Bible even begins with the grand claim that "In the beginning, God created the heavens and the earth." Psalm 8 directly attributes the creation to Jehovah, stating "When I look at your heavens, the work of your fingers, the moon and the stars, which you have set in place, what is man that you are mindful of him and the son of man that you care for him?" Even we ourselves are the direct creation of God, as Psalm 100:3 admits, "Know that the Lord, he is God! It is he who made us, and we are his." As we see, over and over the Old Testament ties God to all of creation and uses it to show his rightful lordship over that creation. Despite this, the Witnesses and others point to Colossians 1:15 to try and prove that Jesus was the first created being of God. To do this, they must redefine Paul's use of the word firstborn in that verse to mean first created. On its face, the mistake can be an easy one to make if you aren't paying attention. Western cultures no longer abide by traditional patriarchy and inheritance traditions where the first born son becomes the chief of the family. So, when we hear the word firstborn, we simply think of "first-born," that is the order of coming into the world. But the Greek word it is ranslated from, prototokos, carries a much richer meaning than simply birth order. It more properly is understood in Colossians as "pre-eminent" or "primacy in rank. "2Of course, many Witnesses have resisted this interpretation, claiming that we should take the word firstborn in its natural meaning. I can understand their desire; a more literal rendering of words is usually the first choice of translators unless the context shows otherwise. Given that most people on both sides of this debate have not mastered Greek, how are we to show that the meaning of firstborn I've offered is to be preferred over the more literal rendering? In fact, it's very easy and context is the key. All we have to do is to keep reading Colossians 1, for in the next two verses we read "And he is the head of the body, the church. He is the beginning, the firstborn from the dead, that in everything he might be preeminent." Note verses 15-17 above and verses 18-19 here are both in the same paragraph. They are all one thought and the word firstborn appears not once, but twice! In the second instance, Paul claims that Jesus is "firstborn from the dead." If we are to use the natural rendering of this word, it would mean that dead people give birth! That doesn't make much sense at all. Jesus wasn't born from a dead person when he rose from the dead; that isn't a resurrection. In fact, Paul explicitly unpack the meaning of the word in verse 19, explaining that "in everything he might be preeminent." Paul is using prototokos to refer to Jesus's pre-eminence! He tells us that very plainly. The big takeaway here is that it isn't necessary to have mastered a biblical language to answer folks like the JWs when they charge that the Bible makes Jesus out to be less than God. Many times, we just need to read the verses in context and carefully. The meaning can show itself in plain English. 1. Colossians 1, all other scriptures taken from the English Standard Version (ESV). Bible Gateway. Web. 28 Sep. 2015. 2. "prototokos." Theological Dictionary of the New Testament: Abridged in One Volume. Grand Rapids, MI: W.B. Eerdsmans, 1985. 968. Print. Why read the book of Jonah on Yom Kippur? This evening will mark the observance of Yom Kippur, the Jewish Day of Atonement. This is by all accounts the holiest day pf the Jewish calendar when all observant Jews will fast, reflect on the sins they've committed in the past year, and seek some absolution from them. Yom Kippur was instituted by God in Leviticus chapter 16 and it is the one day out of the year where the High Priest can enter the Holy of Holies in the Temple to bring a blood offering designed to cover the sins of the people. Included in the ritual is the transfer of sins from the people to a scapegoat. There is one other interesting tradition, though. 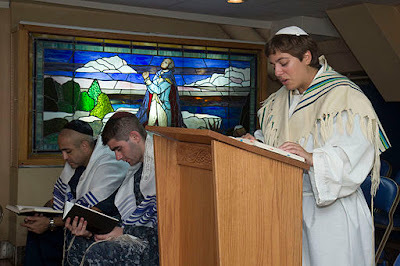 On the afternoon of Yom Kippur, the Book of Jonah is read in Synagogues across the world. Of all the books in the Old Testament, this one is a really strange choice, as the Jewish prophet Jonah is continuously derelict in carrying out God's command to preach repentance to the savagely cruel Ninevites. After seeking to flee from God's command and a bit of aquatic indigestion, Jonah eventually (albeit reluctantly) preaches forgiveness to these enemies of Israel. He then sits atop a hill to watch their impending judgment only to be utterly amazed that these Gentiles actually repented and were forgiven! The bad guys make good and the good guy comes off really bad. Given the Temple's destruction, there is no faithful follower of Judaism that can accomplish the traditions commanded of them in Leviticus 16. The Orthodox seek to emulate it as best they can, with each synagogue offering a chicken. Less stringent forms of Judaism see personal abstinence and prayer as enough. But the huge hole that the lack of a Temple creates is a noticeable void. The writer to the Hebrew them explains that Jesus didn't have to offer his blood year after year but he entered the true Holy of Holies in heaven and offered it once for all time. Because of the perfection of this atonement, his forgiveness is extended to the Gentiles as well as the Jews. While the Jews have been reluctant to receive it for now, the Gentiles have embraced it giving us a perfect reflection of the book of Jonah. Some say that Christianity is a cult of Judaism; it's an offshoot that abandons the core Jewish understanding of God and his dealings with man. I don't see it that way. I see Christianity as the fulfillment of Judaism and the only way one can properly approach God based on the requirements he delivered through Moses. Jesus fulfills the law. May my Jewish friends be blessed and have an easy fast this Yom Kippur. 1. "The Kaparot Ceremony." Chabad.org. Chabad-Lubavitch Media Center, n.d. Web. 21 Sept. 2015. http://www.chabad.org/holidays/JewishNewYear/template_cdo/aid/989585/jewish/Kaparot.htm. 2. "What is Yom Kippur?." Chabad.org. Chabad-Lubavitch Media Center, n.d. Web. 21 Sept. 2015. http://www.chabad.org/holidays/JewishNewYear/template_cdo/aid/177886/jewish/What-Is-Yom-Kippur.htm. 3. Sarna, Nahum. "Jonah and the Whale: Why the Book of Jonah Is Read on Yom Kippur." Biblical Archaeology Society. Biblical Archaeology Society, 20 Sept. 2015. Web. 21 Sept. 2015. http://www.biblicalarchaeology.org/daily/biblical-topics/hebrew-bible/jonah-and-the-whale/. 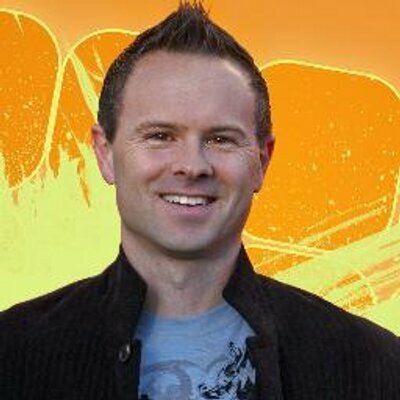 My friend Sean McDowell has just launched a brand new web site with a lot of great articles and video clips on apologetics. Sean's become one of the core go-to guys in equipping young people to better defend their faith and this site is a great resource for anyone who seeks to know more about apologetics. Of course Jesus did claim to be the "Anointed One." But do the prophesies of the Old Testament confirm that he was actually the Messiah? The answer is yes. It’s as if God gave us a specific way to recognize who the "Anointed One" would be, through what has been called Messianic prophesies. It seems impossible, but because of these prophecies, out of billions of people born over thousands of years we are able to pinpoint one person in history as the Messiah. It is as if God had an answer waiting for us when we asked, "How will we know who the Messiah is?" Imagine we are having a conversation with God as he uses these prophecies to pinpoint who this Messiah would be. God begins by saying, "You will know he is the Messiah because I will cause him to be born as an Israelite, a descendant of Abraham" (Genesis 22:18; Galatians 3:16). "But God," we protest, "Abraham’s descendants will be many!" "Then I will narrow it down to only half of Abraham’s lineage and make him a descendant of Isaac, not Ishmael" (Genesis 21:12; Luke 3:23-34). "That will help, but isn’t that still an awful lot of people?" "Let him be born from Jacob’s line, then, eliminating half of Isaac’s lineage" (Numbers 24:17; Luke 3:23-34). "I will be more specific. Jacob will have 12 sons; I will bring forth the Messiah from the tribe of Judah" (Genesis 49:10; Luke 3:23-33). He will enter Jerusalem as a king 483 years after the declaration of Artaxerxes to rebuild the temple (444 BC) (Daniel 9:24). 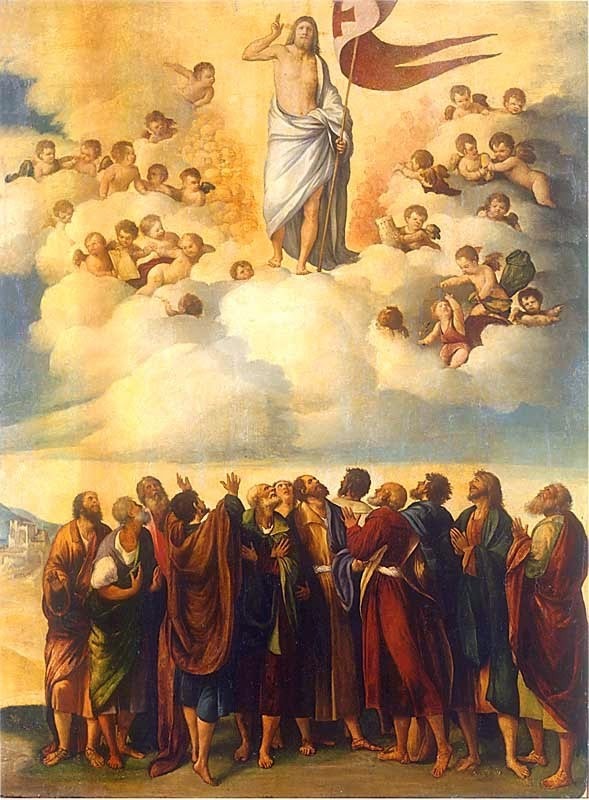 "As a final testimony, on the third day after his death, he will be raised from the dead" (Psalm 16:10; Acts 2:31), "ascend to heaven" (Psalm 68:18; Acts 1:9), "and be seated at my right hand in full majesty and authority" (Psalm 110:1; Hebrews 1:3). As you can see, God has gone to extraordinary lengths to identify his Son Jesus as the Christ—the Messiah who would give his life for us. And one day, "when he has conquered all things, the Son will present himself to God, so that God, who gave his Son authority over all things, will be utterly supreme over everything everywhere" (1 Corinthians 15:28). Make sure you check out Sean's new site and see all he has to offer there. 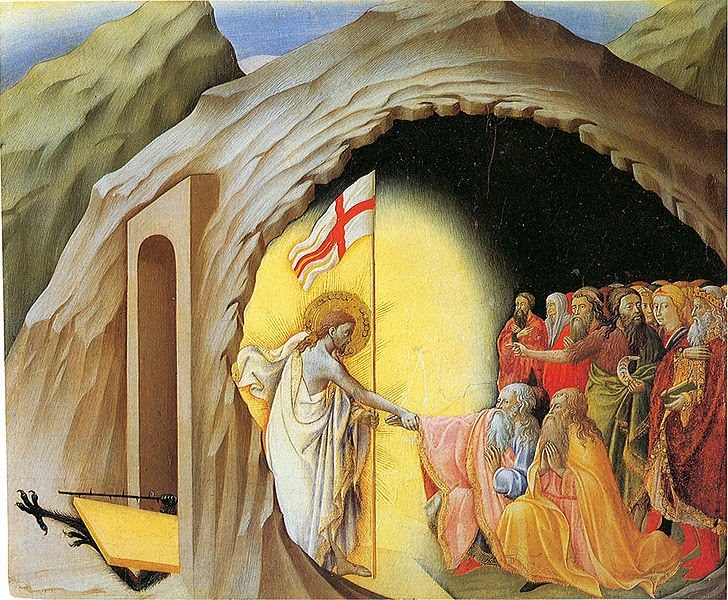 Did Jesus Go to Hell on Holy Saturday? When I was young, the word salon was only used by old women who would go for their weekly rinse and set. I accompanied my grandmother on one of these trips and I still remember her sitting under one of those huge hot air dryers reading an old magazine while waiting for her sponge-rolled hair to dry. While there were a ton of magazines available, they were mostly old issues filled with stuff that would never interest me. "When he ascended on high he led a host of captives, and he gave gifts to men." Well, opening one book before writing this article wasn't too hard for me, so I'm kind of stumped on how Ed Simon couldn't accomplish it. Of course, scholastic theology books may be a bit much for Simon, but he could have always used, I don't know, perhaps a professional research tool like Google to find this article on the subject at Christianity Today. 1. Simon, Ed. 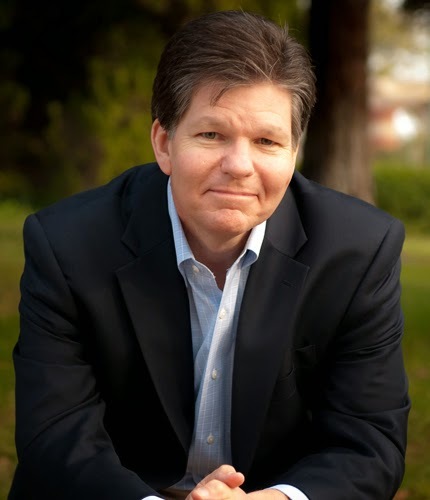 "Jesus Went to Hell: The Christian History Churches Would Rather Not Acknowledge." Salon.com. Salon Media Group, 9 Apr. 2015. Web. 10 Apr. 2015. http://www.salon.com/2015/04/09/jesus_went_to_hell_the_christian_history_churches_would_rather_not_acknowledge_partner/. 4. Buchel, F., III. "Kato, Katotero, Katoteros." Theological Dictionary of the New Testament: Abridged in One Volume. Grand Rapids, MI: W.B. Eerdsmans, 1985. 422-23. Print. Not many people think about Jesus and his intellect, but Jesus was the smartest man who ever lived. He wasnt a philosopher, but he could argue logically and philosophically when the need arose. 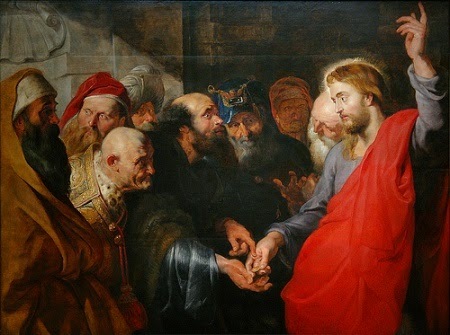 For example, in one passage of scripture, the Pharisees were trying to trap Jesus by asking him if the faithful Jews should pay taxes to Caesar or if they should rather choose to love God. Jesus unraveled their trap by pointing out the logical fallacy hidden in their question. The Pharisees weren't the only ones, though, that tried to trap Jesus. 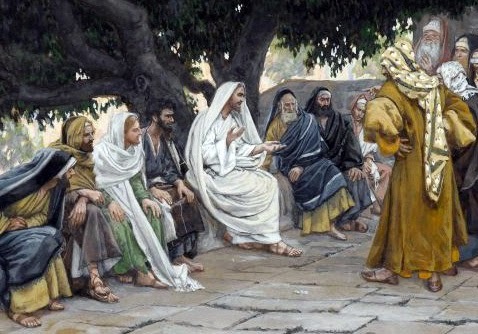 The Sadducees, who were another group within first century Judaism and the sect that had the primary control over the Temple in Jerusalem, also tried to catch Jesus by asking him a question. In Mark 12:19:27, they offer a thought experiment, one that was designed to prove their belief that once people die, they cease to exist.1 They asked Jesus to imagine a man who has six brothers. He married a woman, but then died, leaving the wife childless. They then said that the mans brother took the woman for his wife, but he also died, and so did all the brothers, each after taking the woman as his own wife. (One must wonder what kind of a scary cook such a woman would be!) Finally the woman dies. The Sadducees then inquire "In the resurrection, when they rise again, whose wife will she be? For the seven had her as wife. (Mark 12:23)"
In this example, the Sadducees are using as tactic from logic known as arguing from absurdity or the more formal Latin title of reductio ad absurdum. Basically, the tactic is to take whatever proposition one is arguing against and follow it even in an extreme situation to see if the proposition still makes sense. Parents are famous for this tactic. After asking to stay home alone because your friend Johnny is allowed, you may have heard them respond, "If Johnny jumped off a bridge, would you do it, too?" Reducing an argument to absurdity is in itself not a fallacy; in fact it can be very effective in clarifying the points of someones position. I've used it myself in arguing against abortion. But, the problem with this attempt is the Sadducees were committing another fallacy in their argument. They assumed that because people experience marriage in one way on this earth, that experience will continue to be true in heaven. This is known as the fallacy of composition or the part-to-whole fallacy. Simply because a man and a woman are properly joined in the covenant of marriage on this earth, doesnt mean that that bond will extend beyond the grave. Jesus makes this clear when he corrects them, saying "Is this not the reason you are wrong, because you know neither the Scriptures nor the power of God? For when they rise from the dead, they neither marry nor are given in marriage, but are like angels in heaven" (Mark 12:24-25, ESV). Jesus makes it clear that marriage is as we say ion our vows today: until death do us part. The Sadducees assumed that such a union made no sense with the wife and the seven brothers in heaven, and they tried to use this argument to dismiss the idea of an afterlife at all. But all our relationships will be different in eternity. Not only did Jesus point out this problem with the Sadducees argument, but he also turned the argument around on them! The Sadducees were very strict in the way they read the Torah and they would not accept the traditions and teachings of many Jewish scholars who came before them.2But, because the Torah played such a high view in the theology of the Sadducees, Jesus chooses to quote from one of its defining verses, Exodus 3:6 where God declares himself to Moses. Jesus answered them, "And as for the dead being raised, have you not read in the book of Moses, in the passage about the bush, how God spoke to him, saying, ‘I am the God of Abraham, and the God of Isaac, and the God of Jacob? 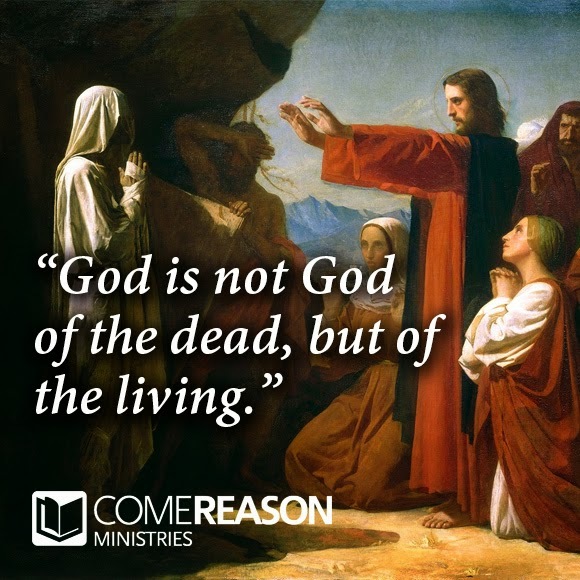 He is not God of the dead, but of the living. You are quite wrong" (Mark 12:26-27, ESV). Jesus emphasized the fact that the verb used is "am" not "was," thus proving that Abraham, Isaac, and Jacob were all conscious souls who still relate to God. Given the Sadducees strict adherence to the written Torah, they had no way to answer this, for to deny that scripture would make their entire belief system crumble. It was a master stroke that demonstrated again just how knowledgeable Jesus was and how he could draw upon logic as he needed to make his point and silence his critics. 1. Unger, Merrill F., R. K. Harrison, Howard Frederic Vos, Cyril J. Barber, and Merrill F. Unger. "Sadducee." The New Unger's Bible Dictionary. Chicago: Moody, 1988. 1111. Print. The Jehovah's Witnesses claim that both the Bible we read and orthodox Christian theology has been some kind of trinitarian bias that unwittingly leads us to believe Jesus is God. However, when looking at the doctrines of the Jehovah's Witnesses and their sponsoring organization, Watchtower Bible and Tract Society, it becomes clear that the only bias on display is their own. Watch this short clip as Lenny explains how the JWs misunderstand the name of God, proper biblical interpretation, and how they deliberately change passages of Scripture to try and dodge the conclusion that Jesus is God. Last week a small group from my church attended the 2015 Los Angeles Theology Conference. The conference had several notable speakers and interesting papers surrounding the topic of the atonement. However, one of the most edifying times was the extended open periods available for discussion. On Friday as we sat down to lunch, we were joined by Mark McConnell , a theology professor from Laidlaw College, NZ. Dr. McConnell said that in his time teaching theology to his students he would ask the question "Is Jesus still a man today," whereby he would overwhelmingly receive the response of "No." It seems many Christians believe that while Jesus was fully human on earth, he shed his humanity at the resurrection. But that belief is a heresy known as Gnosticism that the early church fought against! Early Christianity recognized that once Jesus is incarnated as a human being, he will remain a human being throughout eternity. Paul writes that "There is one God, and there is one mediator between God and men, the man Christ Jesus" (1 Tim 2:5, ESV), showing that Jesus remains a man in order to reconcile us with God. Imagine a man sitting at his desk in his office at home. The door opens and his young son, who had been playing in the yard with a neighbor from down the street, runs in and jumps into his father's lap with the kind of joy and exuberance children have. The father will of course receive his son and embrace him. I think Dr. McConnell's illustration is a great way to communicate a couple of key ideas. First, our relationship with God is dependent upon our relationship with Jesus. Paul states he is found in Christ "not having a righteousness of my own that comes from the law, but that which comes through faith in Christ" (Phil. 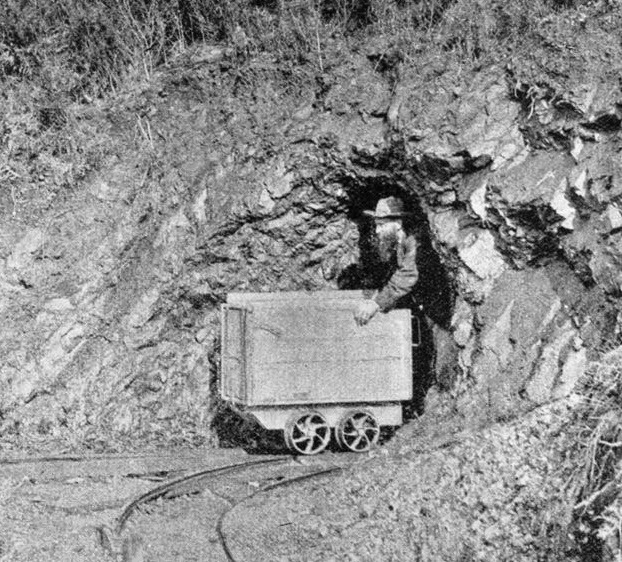 3:9). It is our relationship with Jesus and his righteous standing before the Father that allows us to have that relationship with the Father as well. The Father sees us not as we are, but counts our faith in Jesus as righteousness because of Jesus's right relation with the Father (Rom. 4:5, 22; 2 Cor. 5:21). For surely it is not angels that he helps, but he helps the offspring of Abraham. Therefore he had to be made like his brothers in every respect, so that he might become a merciful and faithful high priest in the service of God, to make propitiation for the sins of the people. For because he himself has suffered when tempted, he is able to help those who are being tempted (Heb. 2:16-18). While there are other reasons Jesus must be fully human and there are other ways the Bible portrays our relationship with the Father (e.g. adopted sons and born again as a new creation) I think the concept that we are borrowing Christ's relationship with the Father is a significant one. As a human being in the line of Adam, Jesus was not separate from us. He is our kinsman. This kinship brings us into relation with him, and allows us to then jump into the lap of the Father. Our intimacy with God depends on the relationship of us to Jesus, through his humanity. If Jesus is no longer a man, we are like presumptuous kids trying to hop into the lap of a stranger. Such presumption doesn't afford that child grace, but punishment for his actions. 1. While this isn't a verbatim quotation from Dr. McConnell, it does portray the crux of his argument. There have been many times where I've been speaking to a non-believer who tells me that he would rather place his trust in science and reason than in faith. Versions of this include "facts rather than religion" or "knowledge over ancient belief." Such objections are certainly not uncommon today, even though they are completely illogical. Each one exercises a logical fallacy known as a false dilemma. A false dilemma tries to limit one's choice between only two options when there may be more options available. To use a popular example, imagine a man on trial. As he sits in the witness stand, the prosecutor comes to him and asks, "Is this the first time you've beaten your wife, yes or no?" Of course, either answer to such a question immediately incriminated the man. The third choice of "I have never beaten my wife" is never offered by the prosecutor, which sets the defendant up with only two options, each of which places him in a bad light. In the objections above, the ideas of faith, religion, and belief are all positioned as incompatible with science, facts, and knowledge. But the assumption that these are incompatible is itself not true. For example, the multiverse theory is based on certain mathematical beliefs and assumptions. There exists no observational data for other universes, nor will there be given that our universe is a closed system. Therefore, scientists who hold to the multiverse theory are doing so based on certain beliefs and a faith in the models they have constructed. Does that disqualify the multiverse theory from being classified as science? Will those skeptics disavow it because they would rather place their trust in reason? Of course not. Similarly, Christianity is based on certain facts, such as Jesus' resurrection from the dead, based on the historical accounts. 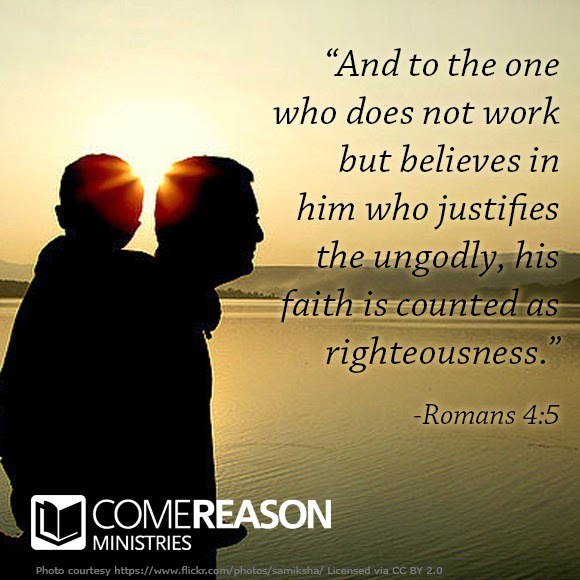 Christians use arguments to show that the existence of God is a reasonable position to hold. Reason and evidence are the foundation of Christianity, which just like the multiverse model shows that faith and reason are not exclusive but work in concert. Sometimes people offer false dilemmas intentionally as a strategy, such as our lawyer example above. However, it's probably more common for a person to not realize there are more choices than the two presented when he or she is presenting the argument. Still, it is important to highlight the dilemma and show it to be false. The Gospel of Luke provides us with an example of how Jesus faced a false dilemma. In Luke 20:19-26, the Pharisees were trying to trap Jesus into incriminating himself. 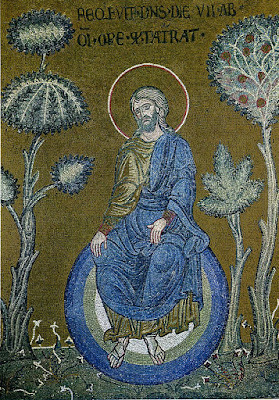 Luke tells us that they asked him "Teacher, we know that you speak and teach rightly, and show no partiality, but truly teach the way of God. Is it lawful for us to give tribute to Caesar, or not?" This was cunning, because if Jesus replied that paying taxes was wrong, he'd be considered a traitor to Rome, but if he said it was OK according to the Jewish law (that is the Old Testament commands) to give a tribute to Caesar, then the would be sanctioning support for a Gentile ruler when Israel's only allegiance should be to God alone. But he perceived their craftiness, and said to them, "Show me a denarius. Whose likeness and inscription does it have?" They said, "Caesar's." He said to them, "Then render to Caesar the things that are Caesar's, and to God the things that are God's." And they were not able in the presence of the people to catch him in what he said, but marveling at his answer they became silent. In Jesus' answer, he brilliantly splits the horns of the dilemma. There are more than the two options of allegiance to God or allegiance to Caesar. One can be a good citizen of the state while disagreeing with some of its positions. The Pharisees weren't offended at the graven image of Caesar so much that they refused Roman money. They simply didn't want to give it back in taxes. Thus Jesus's answer shows that one can be a good citizen and not offend God. In fact, he may have thought of Malachi 6:8, which teaches that all believers should seek to do justice, to love kindness, and to walk humbly with God. Paying for the services of Rome is part of doing justice. In highlighting the false dilemma the Pharisees offer, Jesus gives us one example of how to better defend our faith. Jesus' use of logic had the effect of silencing his detractors while teaching new truths to his audience. This is just one example of Jesus using logic and reasoning in his interaction with others. We need to prepare ourselves to do likewise. It should be the goal of every Christian to reflect the heart of Jesus in his or her life. Yet, some in the church bristle at the idea of equipping themselves to defend the faith against ideas raised against it. They assume apologetics to be an intellectual game, where they would rather take the path of Jesus and model love. 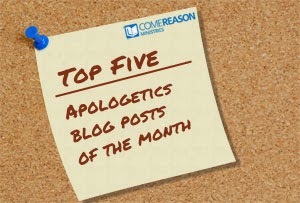 However, as I've shown, Jesus integrated apologetics into much of his ministry. It is very important to understand that in justifying the task of Christian apologetics throughout the history of the church, it was Jesus himself who set the stage. He did this not by writing apologetic tracts and treatises but by creating what I shall call here an "ethos of demonstration" among his followers. Jesus demonstrated the truth of his message and his identity over and over again using nearly every method at his disposal, including miracle, prophecy, godly style of life, authoritative teaching and reasoned argumentation' And although Jesus clearly authorized the apologetic ethos for his followers by living it out himself, it is also important to note that he did not create this approach ex nihilo during his three years of ministry. Indeed, Jesus was really just reaffirming an ages-old ethos of demonstration that had been well established in the Old Testament tradition. From the miracles of Moses in Pharaoh's court (Ex 7) to Elijah's contest with the prophets of Baal (1 Kings 18) to God himself calling for his opponents to "present your case ... set forth your arguments" (Is 41:21), a divine pattern was already fixed by the time Jesus came on the scene.1. 1. Hazen, Craig J. "Defending the Defense of the Faith." To Everyone an Answer: A Case for the Christian Worldview: Essays in Honor of Norman L. Geisler. Francis Beckwith, William Lane. Craig, and James Porter Moreland, Ed. Downers Grove, IL: InterVarsity, 2004. 37. Print. Truth, eternally existing in the bosom of the Father, has sprung from the earth so that He might exist also in the bosom of a mother. Truth, holding the world in place, has sprung from the earth so that He might be carried in the hands of a woman. Truth, incorruptibly nourishing the happiness of the angels, has sprung from the earth in order to be fed by human milk. Truth, whom the heavens cannot contain, has sprung from the earth so that He might be placed in a manger. For whose benefit did such unparalleled greatness come in such lowliness? Certainly for no personal advantage, but definitely for our great good, if only we believe. Arouse yourself, O man; for you God has become man. "Awake, sleeper, and arise from among the dead, and Christ will enlighten thee. "3 For you, I repeat, God has become man. If He had not thus been born in time, you would have been dead for all eternity. Never would you have been freed from sinful flesh, if He had not taken upon Himself the likeness of sinful flesh. Everlasting misery would have engulfed you, if He had not taken this merciful form. You would not have been restored to life, had He not submitted to your death; you would have fallen, had He not succored you; you would have perished, had He not come. Let us joyfully celebrate the coming of our salvation and redemption. Let us celebrate the festal day on which the great and timeless One came from the great and timeless day to this brief span of our day. So, give voice to the joy that we have in the Savior's arrival. Enjoy your holiday and I wish you a very Merry Christmas! 1. The text of Augustine's sermon #185 has been reformatted by me. The translation is taken from "For The Feast Of The Nativity: Sermon 185." Sermons on the Liturgical Seasons. Trans. Sister Mary S. Muldowney. New York: Fathers of the Church, 1959. 6-7. Print. To look at it, Christmas in Japan looks pretty Western. There are Christmas trees, lights, and even pictures of Santa adorning windows. There are some differences, of course. 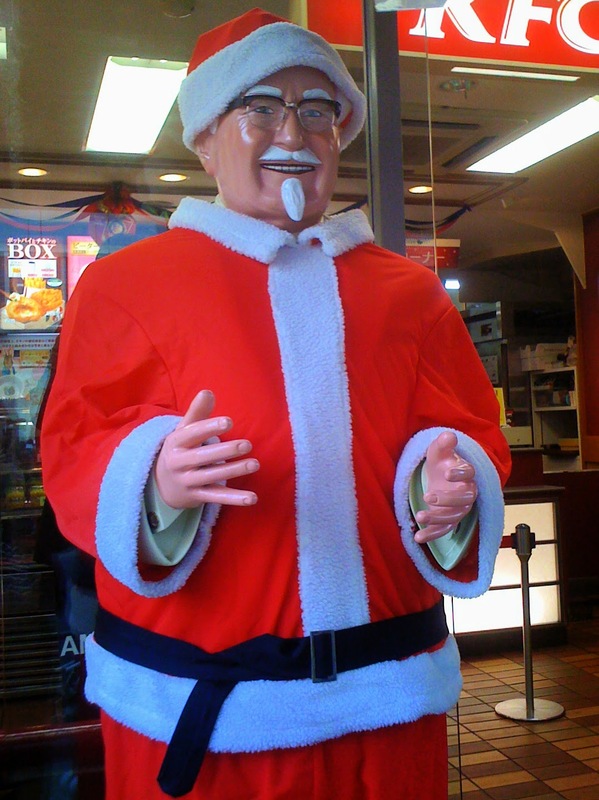 Christmas cake is ubiquitous and you may be a bit disturbed to discover that what you thought was a statue of Santa was actually Colonel Sanders decked out in a red Santa outfit. It seems that many Japanese think a proper Christmas dinner centers around a bucket of KFC. But, such are the quirks of a holiday spread across the globe. Cultures will interpret the joy of celebrating Christ's coming in their own ways, right? Except the Japanese don't. Japan is a country that is only about 1% Christian, according to the Pew Forum1. Christmas isn't an officially recognized holiday at all; children still attend school and businesses are open (especially KFC!) Yet, the trappings of a Western tradition are there. So, why do the Japanese get into the decorations and the trees at all? It seems those Christmas cakes provide some good insight into the motivations for the Japanese celebration. However, as Japan's economy recovered and then boomed in the 1980's, "Christmas celebrations gave the Japanese the most tangible pictures that could convey images of prosperous modern lives in America" and the cake was the epitome of that symbol of success. "8 Today, young urban Japanese see Christmas Eve not as a day to celebrate at home with family, but as an upscale night on the town where tangible gifts to your beloved are expected. While the Japanese interpretation of Christmas may seem remote, I think Konagaya was right when noting that the Japanese were simply trying to mimic American values and traditions. They saw the commercialism, the emphasis on stuff, the weight we placed on the trappings of the day and presented all of that without any of the spiritual root that should be the focus of Christmas. Was something lost in the translation? Perhaps. Yet, an imperfect mirror will distort an image but it can highlight flaws you hadn't noticed before. Young Japanese woman: Is Christmas celebrated to mark the birth of Jesus or his death? American man: Do people usually go shopping before a funeral? At least she knows it has something to do with Jesus! When my kids were young, we used cake to celebrate Christmas as well. It wasn't a Japanese Christmas cake; it was a birthday cake. We had a plastic Nativity set that the kids could play with. We would set the Wise Men figures at the back of the house and the kids would move them each day until their journey was complete on Christmas Eve. We would also hide the baby Jesus figure until Christmas morning. Later that day, we'd decorate the cake with birthday candles and everything. It isn't much, but these traditions put the emphasis back on the coming of Jesus instead of the coming of presents. I pray that you and your family will emphasize the amazing gift of the Savior, of God with Us, this Christmas. 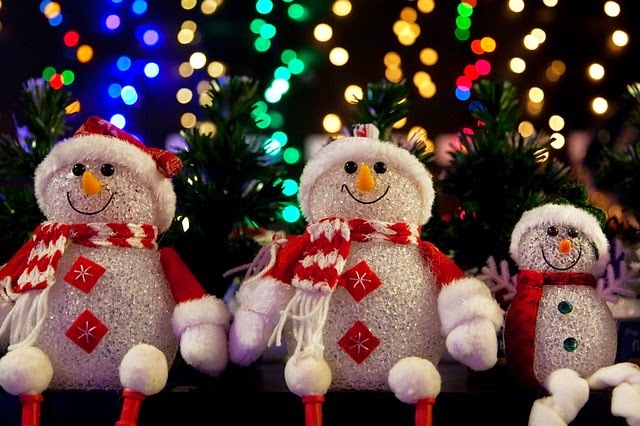 Make sure that your outward celebrations show that aspect of the holiday. After all, you never know who's watching. 1. Pew Forum on Religion & Public Life, comp. "Global Christianity: A Report on the Size and Distribution of the World's Christian Population." PewForum.org. Pew Research Center, Dec. 2011. Web. 23 Dec. 2014. http://www.pewforum.org/files/2011/12/Christianity-fullreport-web.pdf 2. Hull, Simon. "Christian Heritage of Japan." The Japan Times. Japan Times Ltd., 04 Aug. 2014. Web. 23 Dec. 2014. http://www.japantimes.co.jp/opinion/2014/08/04/commentary/world-commentary/christian-heritage-japan. 4. Konagaya, Hideyo. "The Christmas Cake: A Japanese Tradition of American Prosperity." The Journal of Popular Culture 34.4 (2001): 121-36. Web. 5. Bruzek, Alison. "Japan's Beloved Christmas Cake Isn't About Christmas At All." NPR. NPR, 16 Dec. 2014. Web. 23 Dec. 2014. http://www.npr.org/blogs/thesalt/2014/12/16/369830094/a-christmas-cake-that-isn-t-about-christmas-at-all. Image courtesy Catherine and licensed via the Creative Commons Attribution 2.0 Generic (CC BY 2.0) license. That Quote May Not Mean What You Think It Does! Yesterday, I began a rebuttal of some comments from a previous post on Gandhi. I had said that Gandhi's eastern background hindered him from understanding the gospel message because he filtered it through his pre-existing Eastern conception. I quoted Gandhi, who said, "If God could have sons, all of us were His sons. If Jesus was like God, or God Himself, then all men were like God and could be God Himself." I then explained, "Jainism specifically teaches that one can remove all their bad karma and become God. In fact, in Jainism the only Gods that exist are those humans who've rid themselves of their karmas. "1 So, it isn't surprising that Gandhi would somehow misunderstand Jesus' unique claim to divinity since in the Eastern view, being divine is not unique; it's the goal. Also, as far as Gandhi's issues with "if God could have sons, all of us were sons." Are we not "children of God?" I don't see any issue with his logic here. And this: "If Jesus was like God, or God himself, then all men were like God and could be God himself---" Seems as though his perspective is consistent with many great Christians. In order for Gandhi's perspective to be consistent with many great Christians, these Christians would need to be polytheists, like Hindus and Jains are. 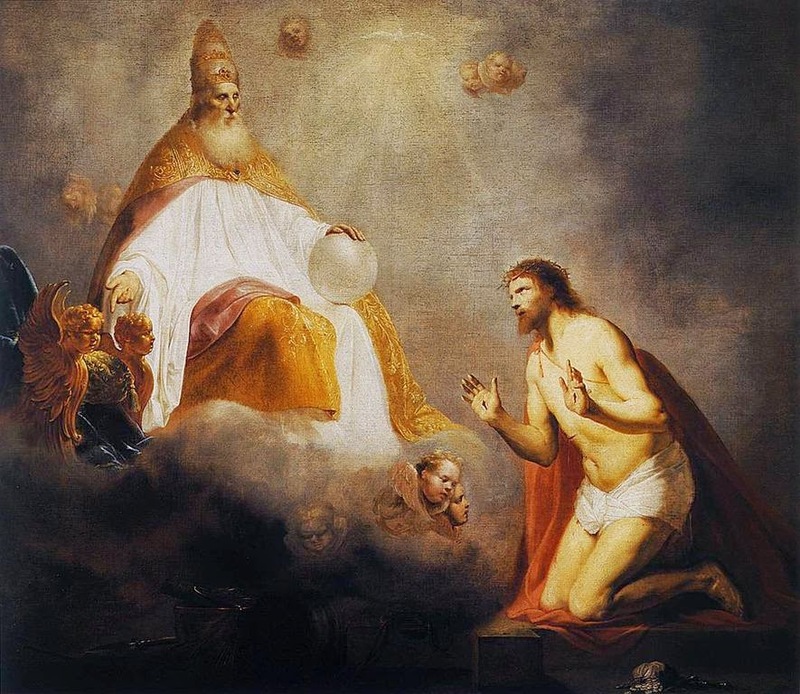 However, being a polytheist is a direct contradiction to the most basic of Christian theology, which is widely recognized as one of the three great monotheistic faiths of the world. It is a serious thing to live in a society of possible gods and goddesses, to remember that the dullest and most uninteresting person you talk to may one day be a creature which, if you saw it now, you would be strongly tempted to worship. . .
. . . the Spirit and our spirit bear united witness that we are children of God. And if we are children we are heirs of God and co-heirs with Christ, sharing his sufferings so as to share his glory." They (those who love him) are the ones he chose specially long ago and intended to become true images of his Son, so that his Son might be the eldest of many brothers. God became man, so that man might become God. For the Son of God became man, that we might become God. God said to this hairless monkey, "get on with it, become a god." "the Word became flesh and the Son of God became the Son of Man: so that man, by entering into communion with the Word and thus receiving divine sonship, might become a son of God"
I tell you most solemnly, whoever believes in me will perform the same works as I do myself, he will perform even greater works. Souls wherein the Spirit dwells, illuminated by the Spirit, themselves become spiritual, and send forth their grace to others. Hence comes . . . abiding in God, the being made like to God, and, highest of all, the being made God. —St. Basil the Great, On the Spirit. (God) said that we were "gods" and He is going to make good His words. If we let Him-for we can prevent Him if we choose—He will make the feeblest and filthiest of us into a god or goddess, dazzling, radiant, immortal creature, pulsating all through with such energy and joy and wisdom and love as we cannot now imagine, a bright stainless mirror which reflects back to God perfectly (though, of course, on a smaller scale) His own boundless power and delight and goodness. The process will be long and in parts very painful; but that is what we are in for. Let us applaud and give thanks that we have become not only Christians but Christ himself. Do you understand, my brothers, the grace that God our head has given us? Be filled with wonder and joy—we have become veritable Christs! The Only-begotten Son of God, wanting us to be partakers of his divinity, assumed our human nature so that, having become man, he might make men gods. In this way we are all to come to unity in our faith and in our knowledge of the Son of God, until we become the perfect Man, fully mature with the fullness of Christ himself. Morality is indispensable: but the Divine Life, which gives itself to us and which calls us to be gods, intends for us something in which morality will be swallowed up. We are to be remade. . . . we shall find underneath it all a thing we have never yet imagined: a real man, an ageless god, a son of God, strong, radiant, wise, beautiful, and drenched in joy. A seed of God grows into God. With the possible exception of Eckhart, who was a very controversial figure in the 14th century and whose teachings were put on trial as heretical, these are good Christian sources. However, these would more prove my initial point than Nate's. Each of these sources, removed from its context does not communicate the full thought of the passage. Some, such as the John 15:5 quote, are incomplete. The entire verse reads, "I am the vine; you are the branches. Whoever abides in me and I in him, he it is that bears much fruit, for apart from me you can do nothing" (emphasis added). Rather than teaching Gandhi's view that we have the power within ourselves to become sons of God, it teaches the opposite. We need Jesus otherwise we are hopelessly lost. I don't how Nate amassed these quotes. He may have been gathering them in his studies or he may have done a bit of Googling. Regardless, I highlight this to show how quote-mining without context is a dangerous thing. Notice how C.S. Lewis used scare quotes in Mere Christianity when he wrote, "(God) said that we were ‘gods' and He is going to make good His words." That's a tip-off that Lewis doesn't believe that we will become divine in the way the Hindus, the Jains, or even the Mormons do. He's talking about something else. To use this quote as support for Gandhi's perspective being "consistent with many Christians" is to twist Lewis' words and make him say something he is not saying. And so it is with all of the quotes above. Not one of these quotes supports a view that would coincide with man becoming an equal of Jesus. Remember what Gandhi said: "If Jesus was like God, or God Himself, then all men were like God and could be God Himself" (emphasis added). That isn't Gandhi claiming to have a God-centric attitude. That's saying man has the potential to be all that God is—omnipotent, omnipresent, omniscient, and omnibenevolent. Can the context for any of the quotes above to show that they argue for that position? I think not. The problem with quote-mining is that it's pyrite, fool's gold. It looks like it supports a point of view, but it often has no value for the conversations. Occasionally, like the John passage above, it can even be used to support the opposing point. Without context it always disregards the author's intent. I think it smacks of dishonesty, as it portrays form of knowledge that doesn't really exist. I've seen Christians who have been caught up trying to defend their faith sometimes resort to gathering quotes that they don't completely understand and offering them as proof of their position. You shouldn't do this! This is unfair to the author and to your objector. If you are researching some supporting evidence for your view, make sure you understand the author and his or her position. Even then, make sure you understand the quote itself, in its proper context. That may even require you to read the entire chapter in which the sentence appears. However, it will be an honest way to present good evidence to others who are questioning the faith. Yesterday, I quoted another passage from Mere Christianity where Lewis explicitly states that one cannot take Jesus as a moral teacher and leave behind His claims to Lordship. Lewis said, "let us not come with any patronizing nonsense about his being a great human teacher. He has not left that open to us. He did not intend to." Jesus very clearly taught the same thing: "I am the way, and the truth, and the life. No one comes to the Father except through me" (John 14:6). While Gandhi wants to take Jesus in just this way, he has taken Jesus out of context. That was his undoing. Christians at Christmas celebrate Jesus becoming the incarnate Son of God. But exactly how can God be a man? Does this mean God is limited to a certain time and place? In our most recent podcast series, we explored the humanity and divinity of Jesus and how both are crucial to his role as Messiah. Listen below. 1. Jesus shares the HONORS due only to God. There are many honors due to dignitaries, but there are certain honors that are reserved for certain positions. The salutation "your Majesty" is reserved for a royal head of state, with princes or lesser positions of royalty being addressed as "your highness." Worship is an honor that is only reserved for God, yet Jesus received worship. Jesus even reinforced this idea when He said refused to worship Satan and instead quoted Deuteronomy 6:13, "Worship the Lord your God, and serve only Him" (Matt. 4:10). Yet Jesus received worship Himself from Thomas (John 20:28) and the rest of the disciples prior to His Ascension ( Matt. 28:17). Thus, the early church was simply continuing to do that which Jesus allowed when He was with them. Beyond worship Bowman and Komoszewski explain that the scripture documents people praying to Jesus, singing praise songs to Jesus, honoring and serving Him as God. Thus, Jesus holds all the honor of the Father. One can identify a thing by its attributes. The attributes of a dog are different from the attributes of a pig, which allows us to distinguish between the two. One reason we can recognize Jesus as God is because He shares the very attributes of God. First, the Bible claims that Jesus is the fullness of the Godhead in bodily form. Jesus claimed to have existed even before His birth in Bethlehem (John 8:56) and other passages reinforce this (Col. 1:15, Rom.8:3). Jesus is, in fact eternal, without beginning or end, and an uncreated being (John 1:3, Col. 1:15, Rev. 22:13). Jesus doesn't change, but He "is the same yesterday, to day, and forever" (Heb. 13:8). He's also shown to be omniscient, omnipotent, and in comprehensible. Names in ancient cultures were key. People took on certain monikers because it reflected some aspect of their position or character. Thus, Alexander of Macedon was called "the Great" after his whirlwind conquering of the known world. Throughout the New Testament, Jesus is called God, Lord, Savior, the First and the Last, the Alpha and the Omega, Mighty God and more. Also, the early church was taught to baptize people in Jesus' name, pray in Jesus' name, and even find salvation in Jesus' name. 4. Jesus shares in the DEEDS that only God can do. The deeds of Jesus also match those deeds only attributable to God. Jesus is the creator of the world (John 1:3, Col. 1:16-17) and will judge all humanity (John 5:22-23). When Jesus forgave the paralytic's sins in Luke 5:20, the Pharisees rightly complained saying, "Who can forgive sins but God alone?" Jesus answered their question by performing a miracle in order to prove that he had the power to forgive sins against God. Lastly, Jesus holds the power over life and death, including His own (John 10:18), a power reserved for only God alone (Ecc. 12:7). 5. Jesus shares the SEAT of God—that is Jesus sits on God's throne. In a courtroom, one can always expect to see the judge's bench raised higher than any other seat. That is to communicate the judge as the presiding authority in the courtroom. Seats and thrones are important symbols that communicate the respective authority of the holder and we will refer to them interchangeably. So when we speak of Jesus' seat or Jesus' throne, it also connotes the authority bestowed on Him. The Bible tells us that Jesus is exalted above even the heavenly creatures (Phil. 2:10, Heb. 1:6, Eph. 1:21). Jesus sits on the throne reserved for God alone (rev. 22:1, Matt. 25:31) and He shares ruling authority with the Father by sitting at His right hand (Heb. 8:1, Heb. 12:2). While this is a very quick synopsis of their argument, I think Bowman and Komoszewski have done a great job in this book showing why Jehovah's Witnesses and others who claim that Jesus was something less than the creator God fail. The Christians have recognized Jesus as God from the time that He walked the earth; the scriptures leave us no other alternative. Wilken, Robert L. The Christians as the Romans Saw Them. (New Haven: Yale University Press, 1984). 105-106. Jehovah's Witnesses and Jesus: What does "Firstborn" Mean? One of the main problems with Jehovah's Witnesses is their denial of the deity of Jesus. They claim that the Bible teaches that Jesus is a created being and point to passages like Colossians 1:15 and Proverbs 8:22 to make their point. In this video, Lenny dispels those teachings by showing what the word firstborn really means and why Jesus must be more than someone who is created.